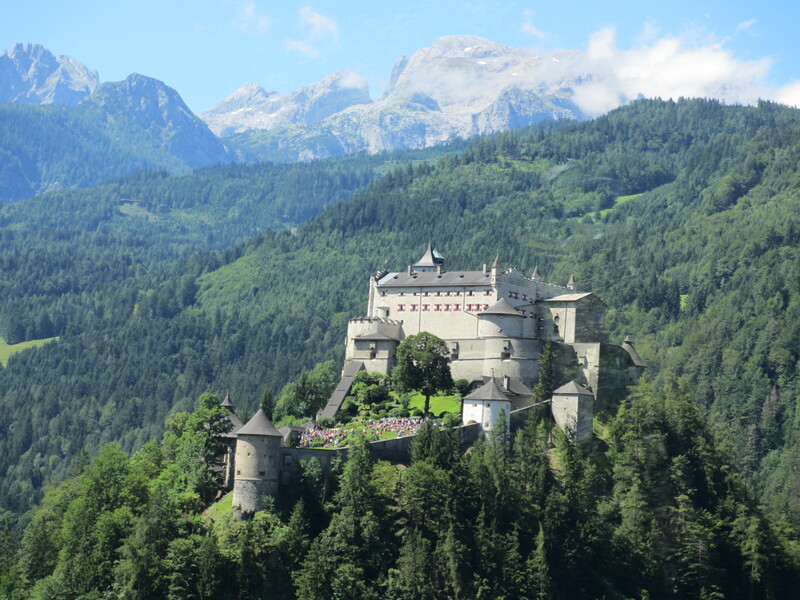 Our trip to Switzerland took us through central Europe where we visited some of Europe’s most beautiful cities and some of the best landscape we have seen on our entire trip. 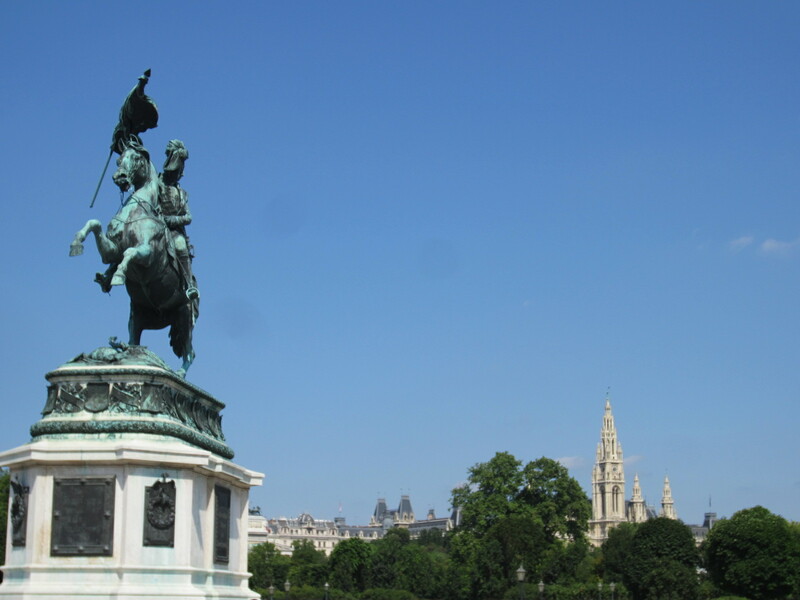 Through Austria we stopped in Vienna, an often overlooked capital that rivals London, Paris and Rome. 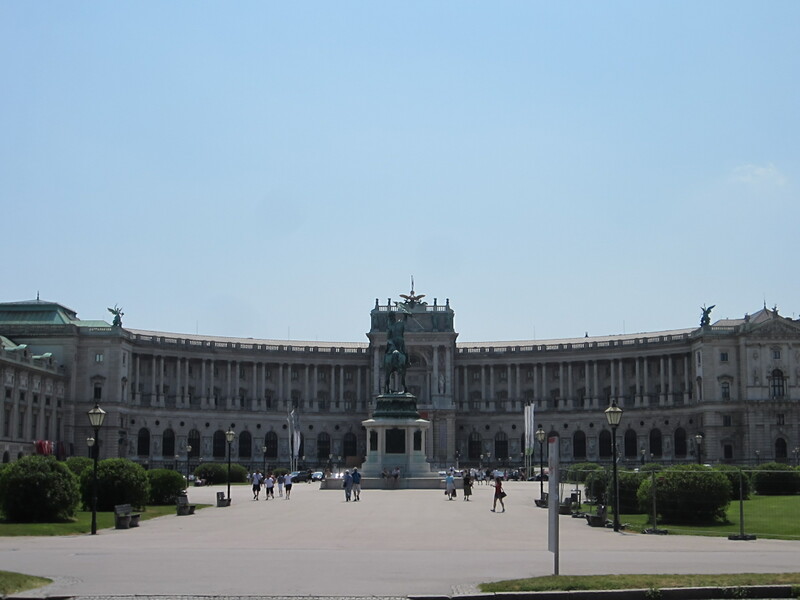 The former rulers, the Hapsburgs, created an opulant capital for their empire with beautiful buildings, museums and concert halls. 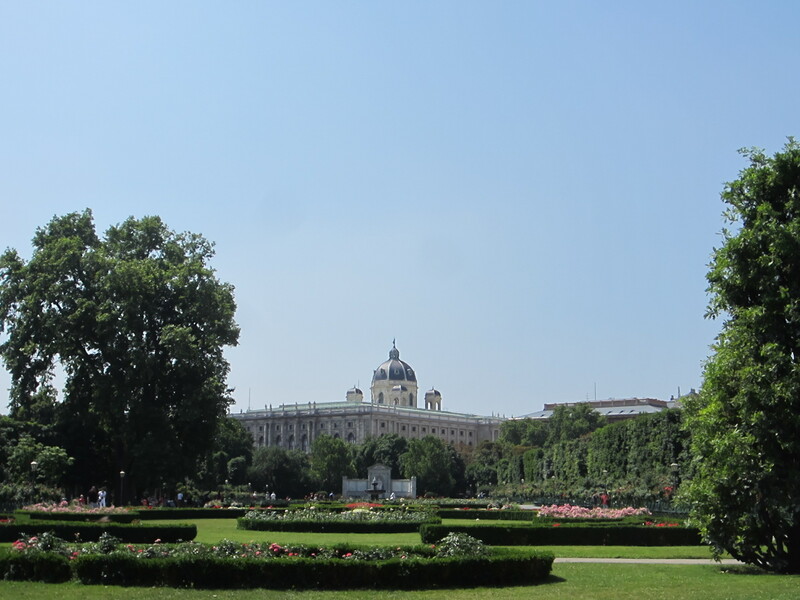 One of the highlights of the city was the Hapsburg summer palace. 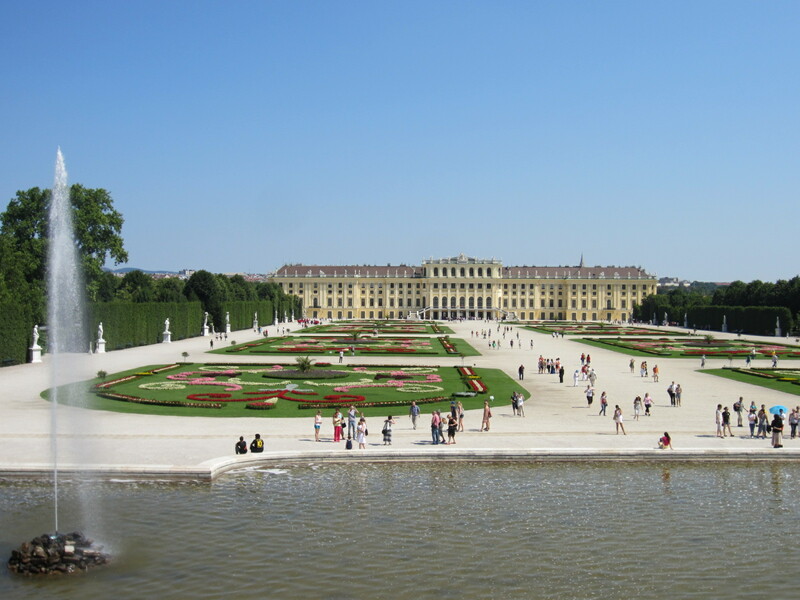 The palace itself is quite large, but it is the grounds where the palace is situated that awes its visitors. 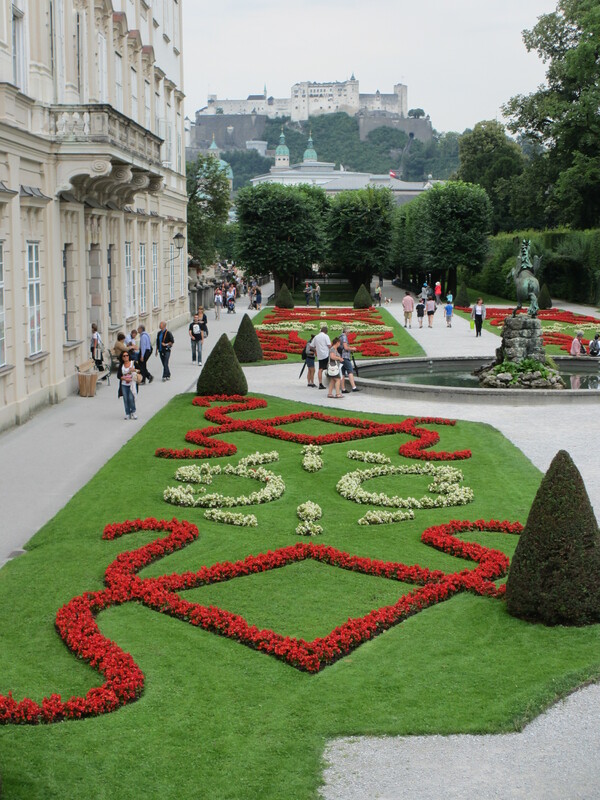 The large manicured flower gardens and shaded walkways stretching from the palace are flanked by shaded trails and hedge mazes. 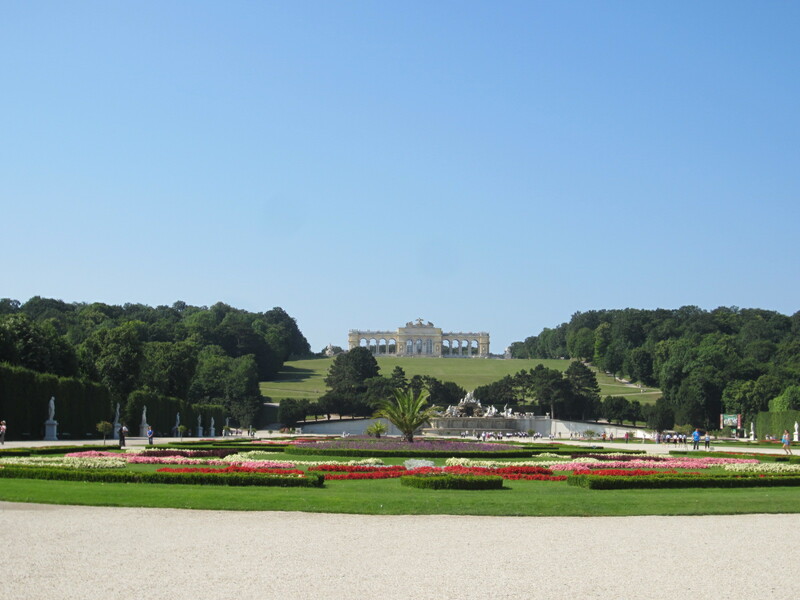 Half way from the palace to the top of a large hill overlooking the city is an enormous water fountain of Neptune and his entourage. 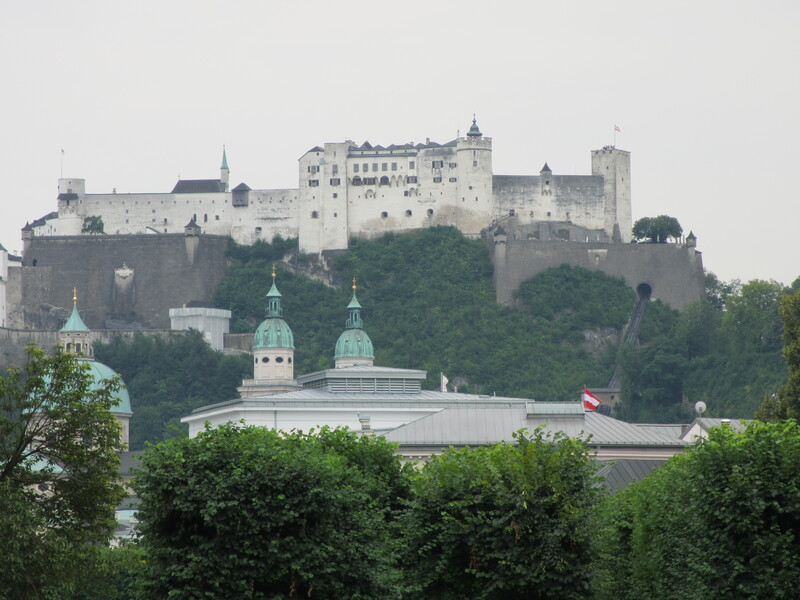 The city of Salzburg is a beautiful, albeit small, city full of baroque architecture in northern Austria. 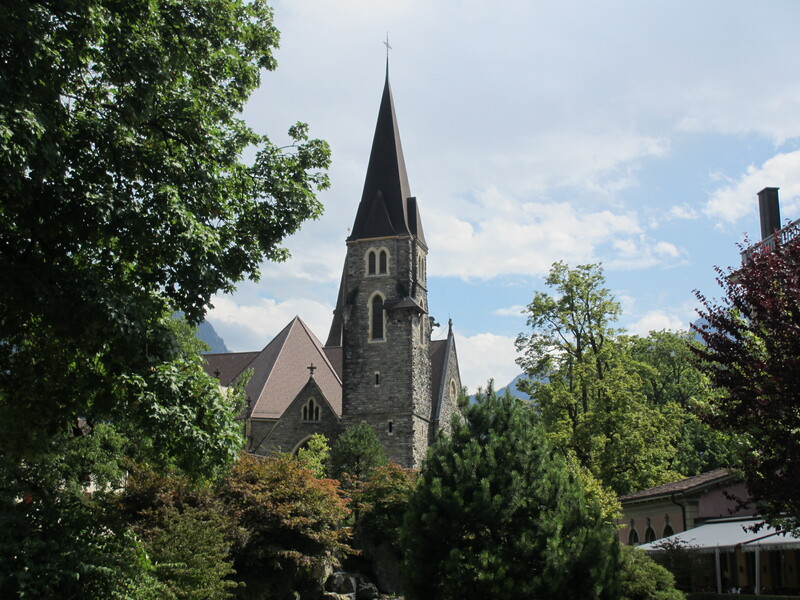 The best thing in this region is not the city itself, but the surrounding sights. 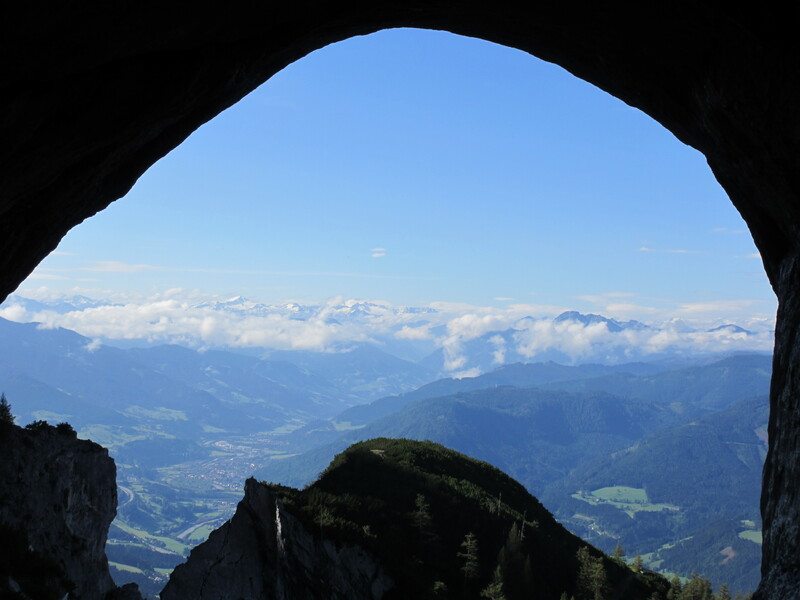 In the nearby town of Werfen, 1600 meters up on the side of a mountain, sits the largest ice caves in Europe. 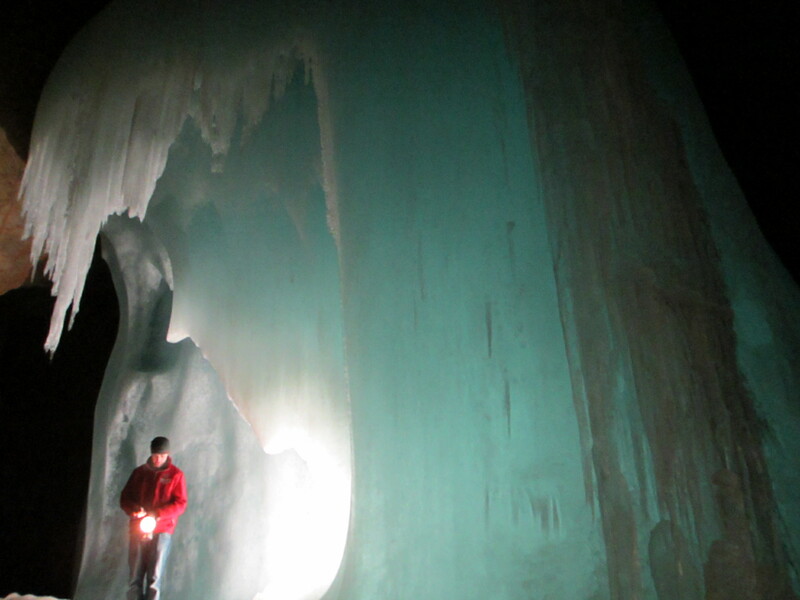 Equipped with lanterns we entered the sub-zero caves where the floor is completely covered by a thick layer of ice. Through the cave there are large columns of ice, walls covered in ice as well as ice stalagmites and stalactites (or ice cicles). There were also large ice formations that our guide would illuminate by burning strips of magnesium. 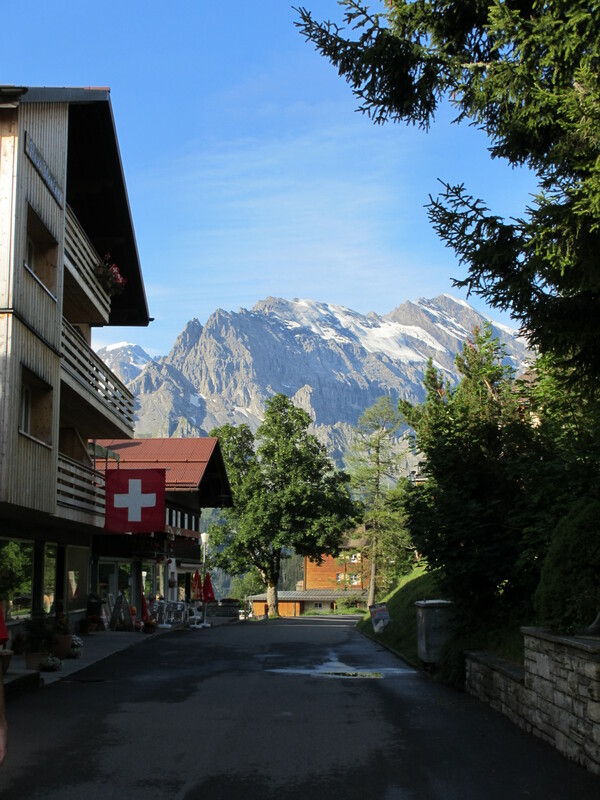 This trip also gave us a great view of the surrounding mountains and taste of what was to come in Switzerland. 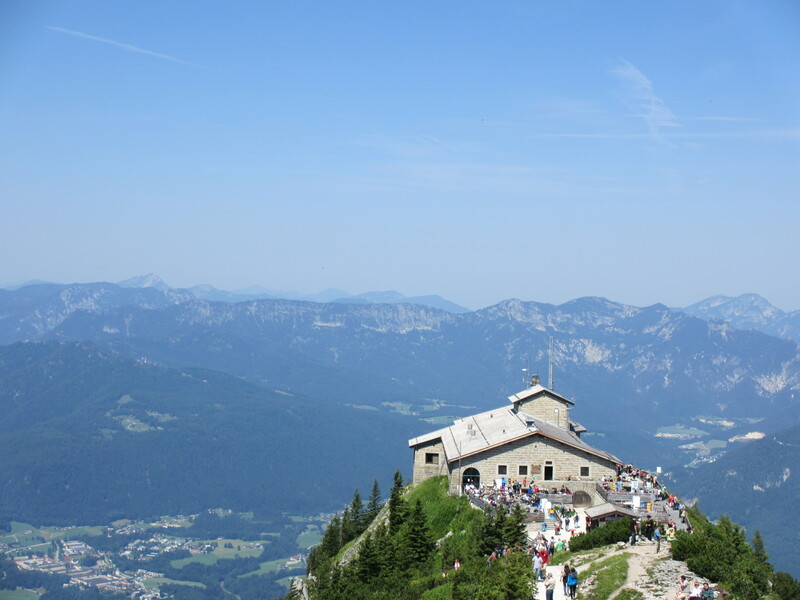 Another trip took us deep into the German Alps where we visited Hitler’s private get away, the Eagles Nest. 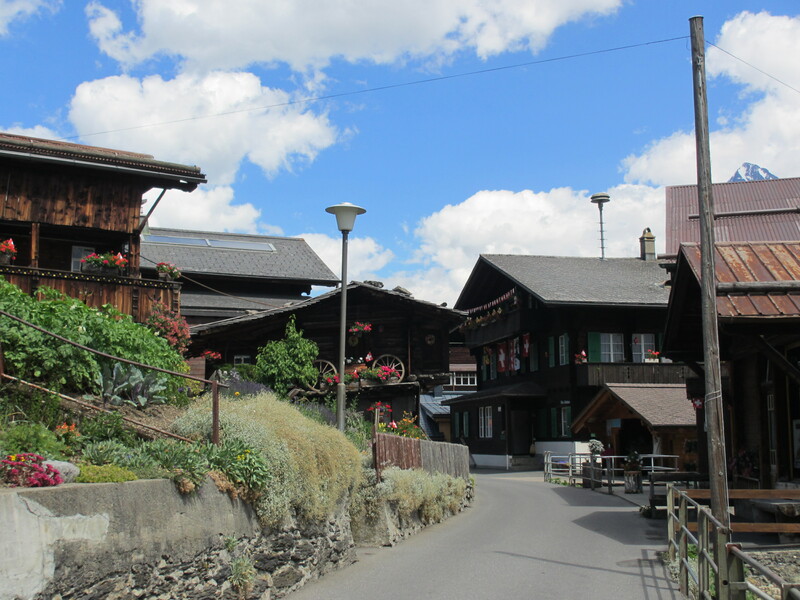 Now a tourist trap restaurant, this building gives you a great view of the surrounding area and tourists are still allowed to use the original bronze elevator that takes you up 124 meters through the center of the mountain. 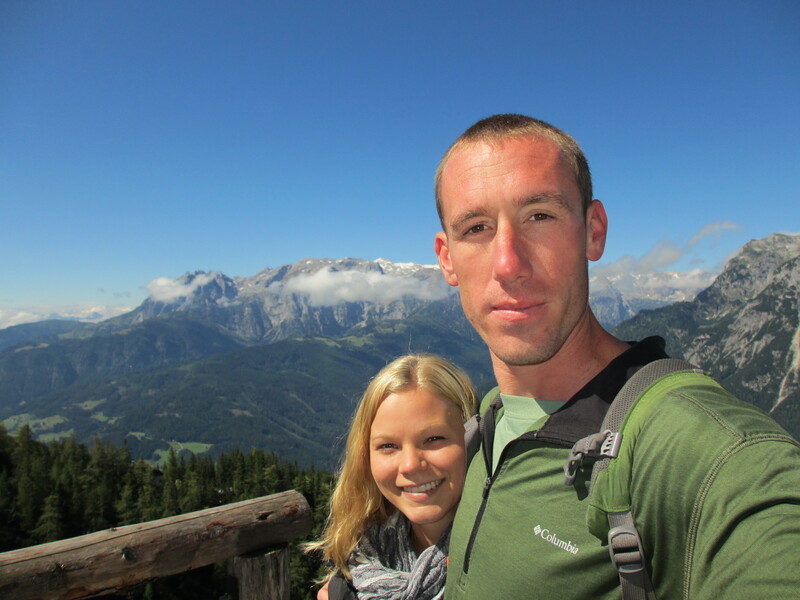 Munich was a great city. 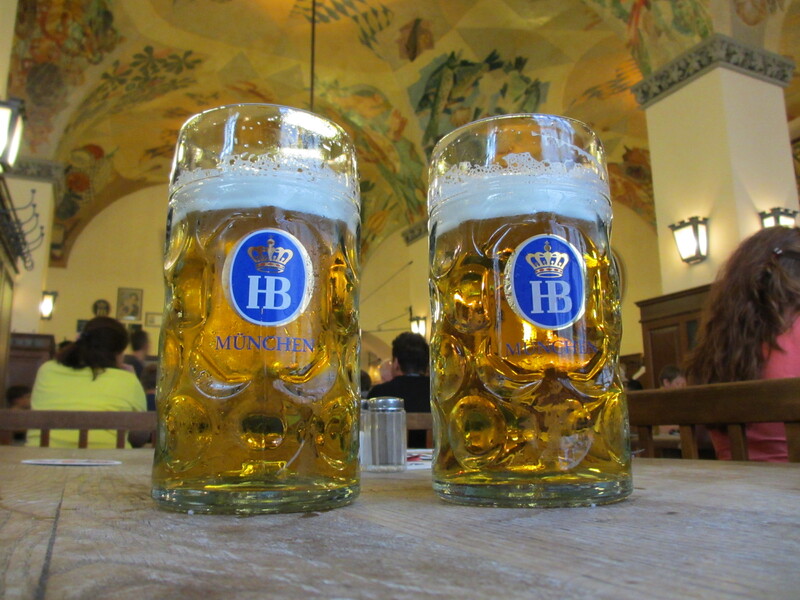 I suppose it is touristy to say that the best thing about Munich is the beer-halls and beer-gardens, but we are tourists and those are the best things. 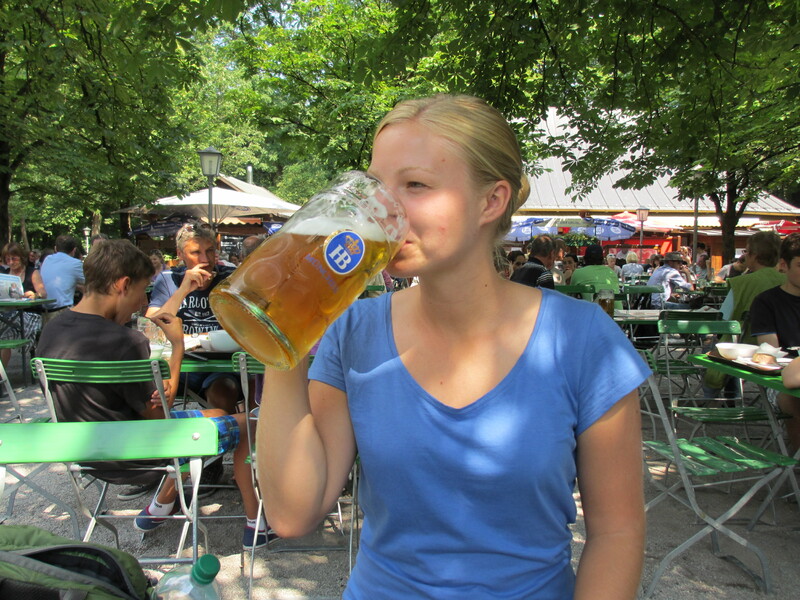 Magan, Matthew and I jumped from beer-hall to beer-hall drinking the delicious German elixir that comes in 1 liter glasses. 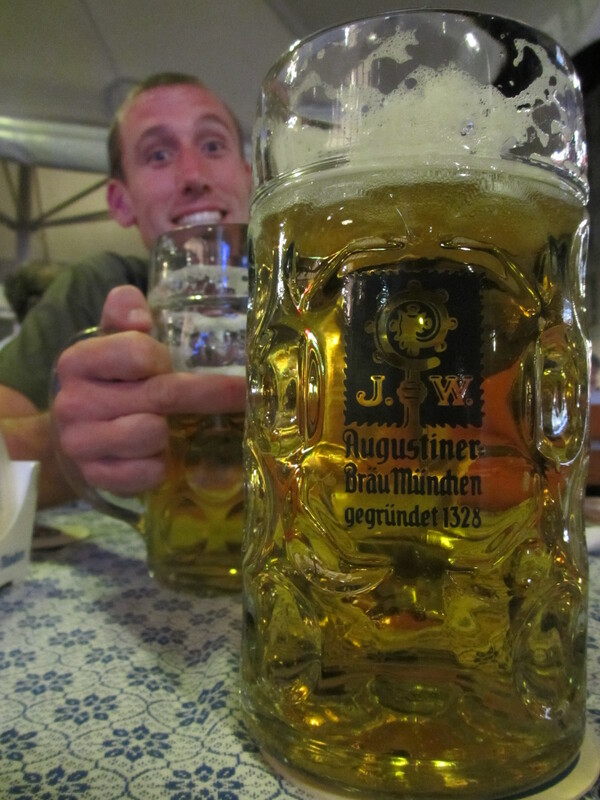 One particular beer garden was even kind enough to give us a few of their large 1 liter glasses as souvenirs. The city itself was nice and had a particularly nice clock tower with a 10 minute show at 5pm complete with jousting knights and spinning dancers. 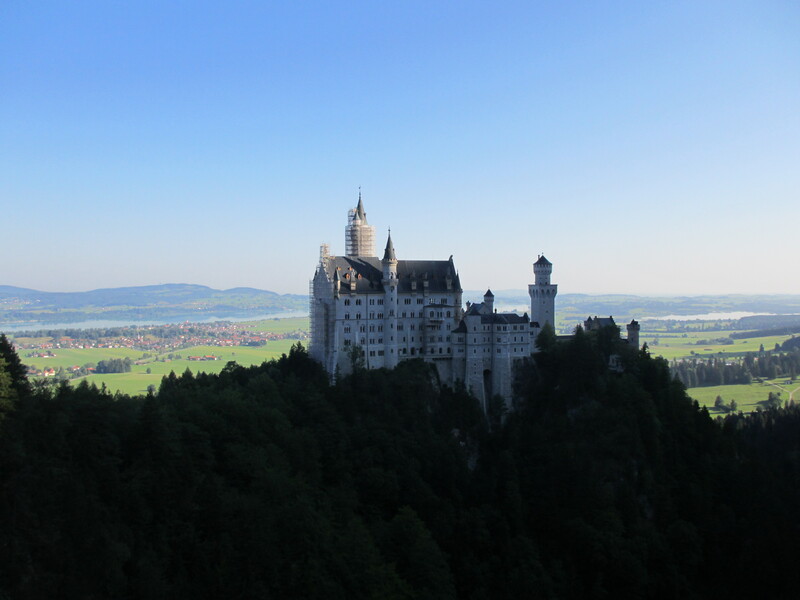 Just outside the city is the large Neuschwanstein Castle that was the inspiration for the Disney castle. Even though it was under construction at the time, it was still a magnificent sight to behold. 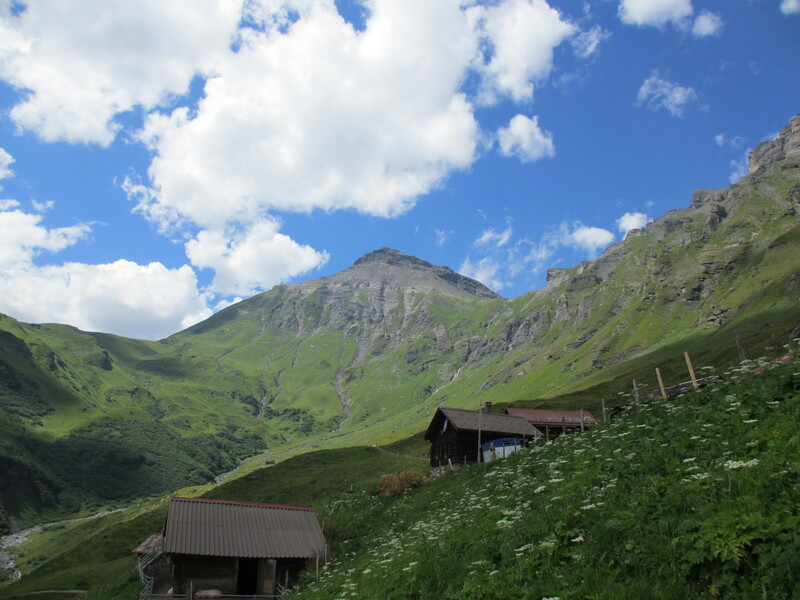 As our train winds deeper into the Alps we are surrounded by steep green mountains and azul lakes which Magan, Matthew and I move from one side of the cabin to the other trying to get a better view of the magnificent scenery. 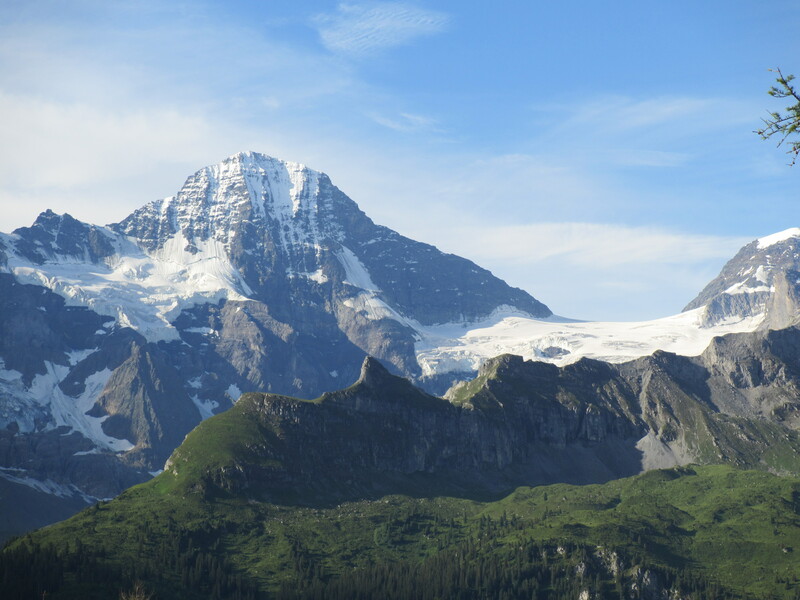 Our train pulls into the Interlaken station in the center of the Jungfrau region, a contender for the best scenery in the world. 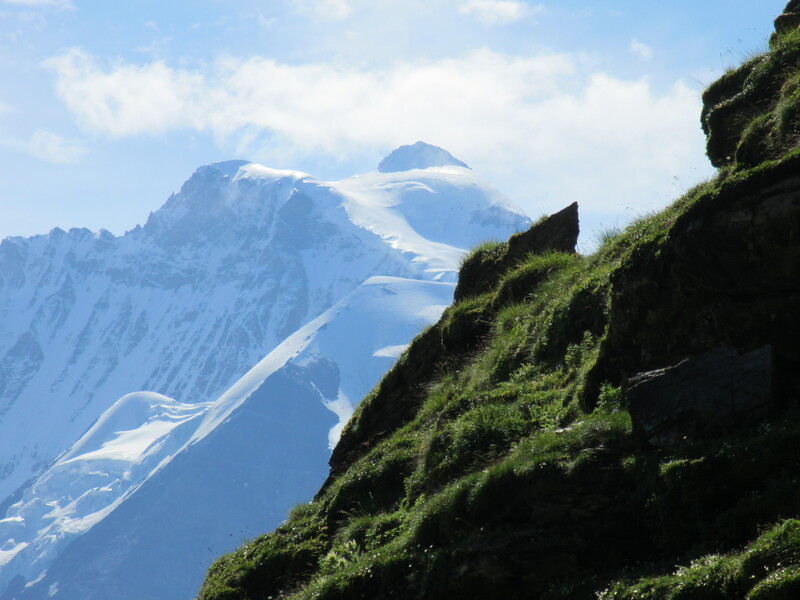 Our tent hostel is situated in a valley surrounded with towering alps including one massive snow-covered peak known as Jungfrau. 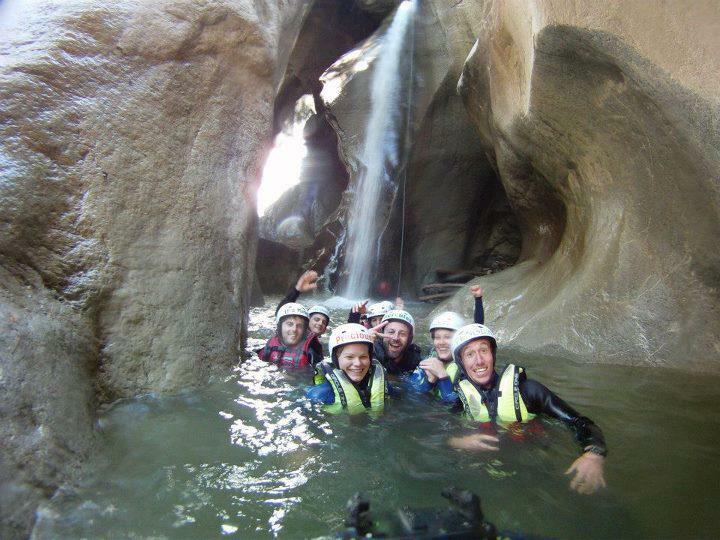 Our first adventure was canyoning in Chli Chilere canyon. **(Click here for a video of the canyoning)** This six-hour trip took us down a river that has cut through the mountain to create a unique environment perfect for rappelling and jumping into pools of water. 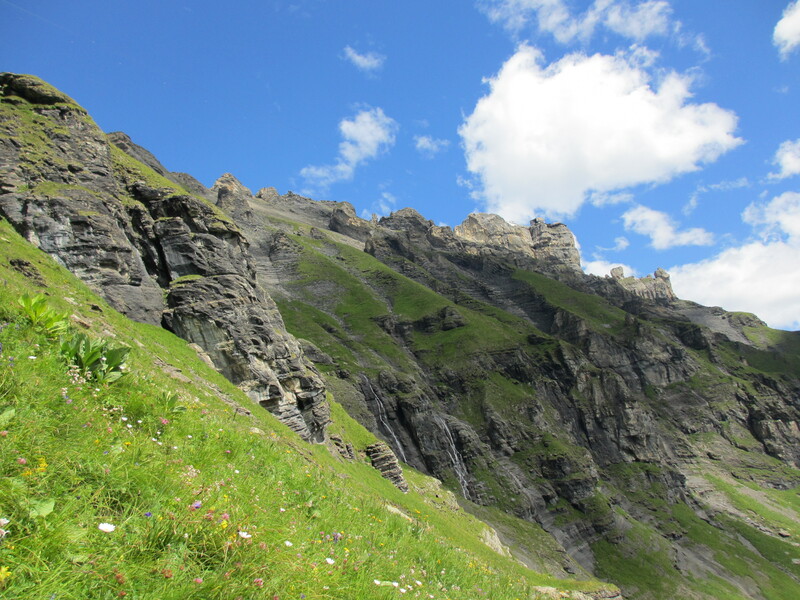 Through the trip we had slides, rappels and jumps up to 10 meters high. 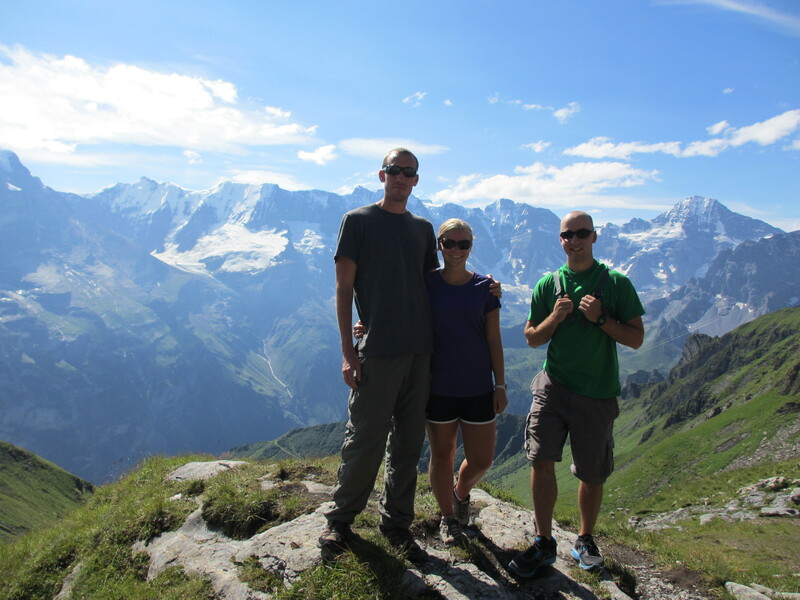 After our adrenaline filled, but exhausting day in the canyon we headed out for a hike through the large snow-covered Alps. 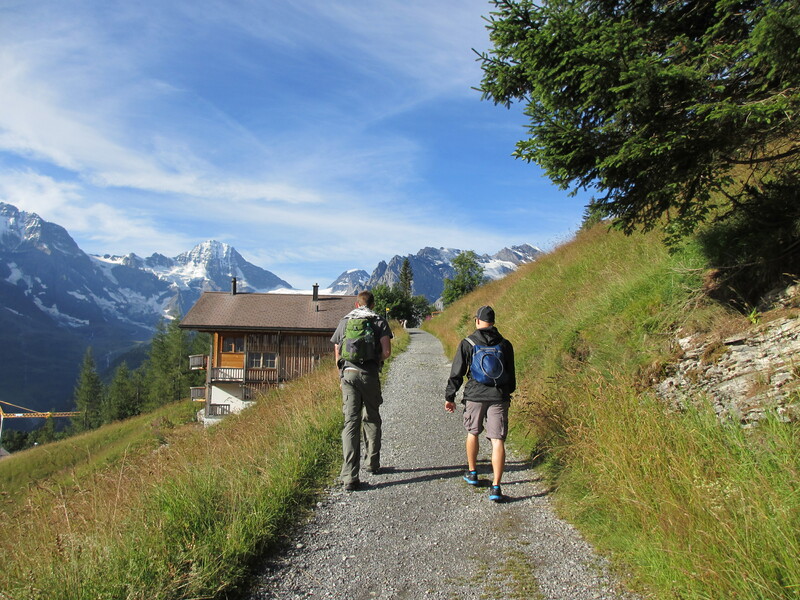 For this hike we took a train to Lauterbrunen then a cable car and another train to Murren where our hike towards Shilthorn began. 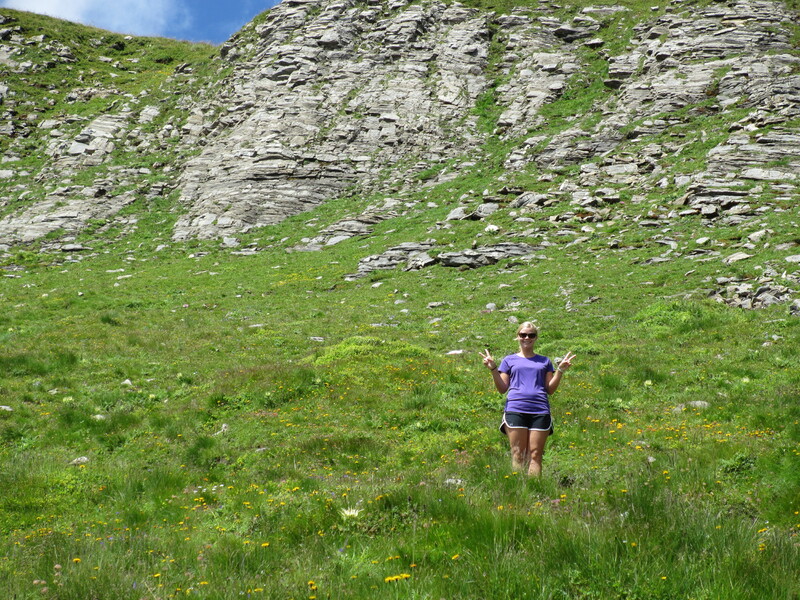 This 4 hr hike may have been one of the steepest I have ever done, but it was certainly the most beautiful. 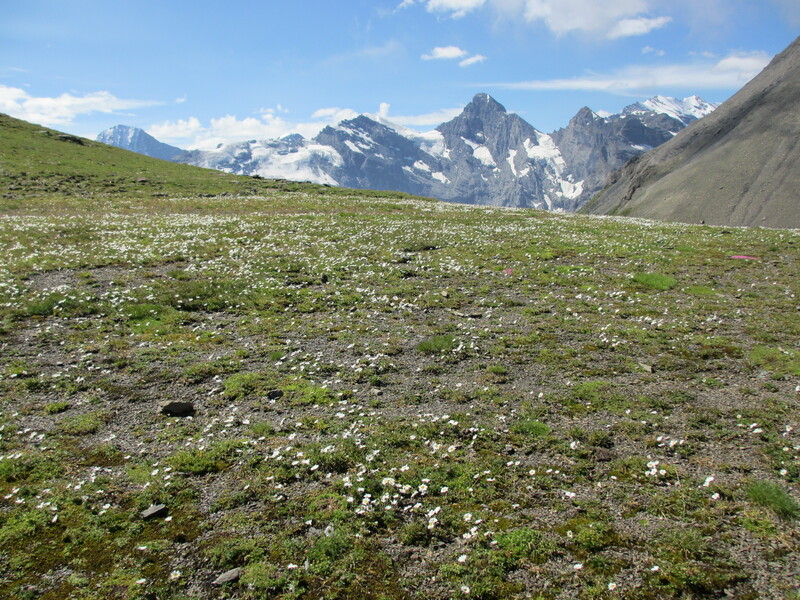 We were surrounded by dark green mountains with towering peaks in the distance. 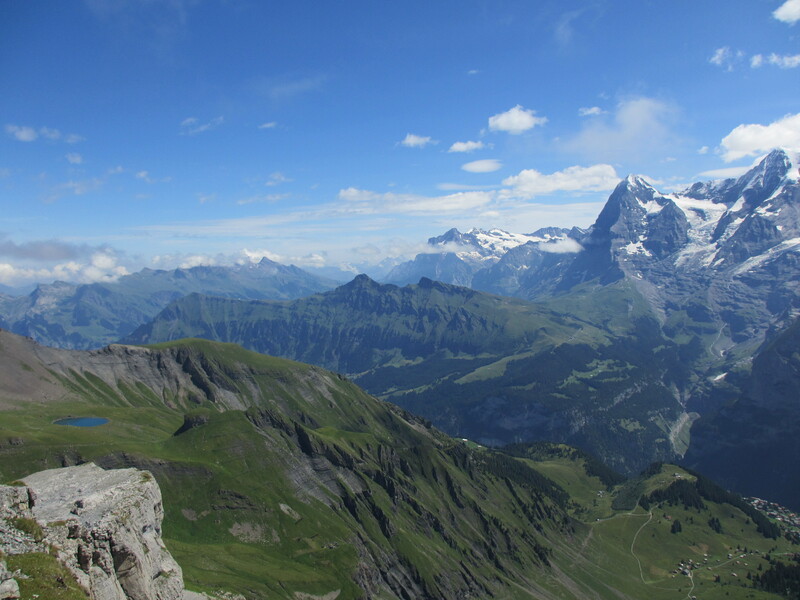 At the top we watched paragliders take off and enjoyed an awe-inspiring view seldom rivaled.